The Centre for the Study of Environmental Change (CSEC) explores the cultural, social and scientific dimensions of contemporary environmental issues including (un)sustainability, and environmental change, knowledge, and politics. Based in the Sociology Department, it has affiliate members in other Lancaster departments, and many active international collaborations. Enacting ‘naturecultures’: exploring the practices, infrastructures and orderings in areas such as nutrient cycles and biodiversity archives. The philosophies of nature, technology and religion: in genomics, the Anthropocene, geopolitics and planetary futures. The sociology and political economy of socio-environmental relations: in agrifood systems, diffuse pollution, and degrowth. Knowledges, knowing and innovation, and participatory experiments: in agriculture, biodiversity, water and food. CSEC offers an innovative and supportive environment for postgraduate study. Our post-graduate degree, MA in Environment, Culture and Society, is intended for those who want to learn how to engage critically, practically and creatively with the kinds of global and local environmental problems that characterise our era – the Anthropocene. The course is run in collaboration with the Lancaster Environment Centre and can be taken full-time (one year) or part-time (two years). 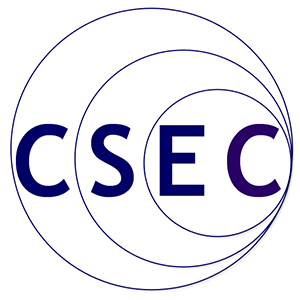 CSEC warmly welcome PhD applications on a wide range of topics including: social theory of environment and modernity; environment-society relations; naturecultures in the Anthropocene; environmental knowledge practices; rethinking environmental governance; and critical approaches to (un)sustainability. You are welcome to come into the department on an informal basis to meet staff and students and look around. Please contact Claire Waterton (c.waterton@lancaster.ac.uk) to arrange.